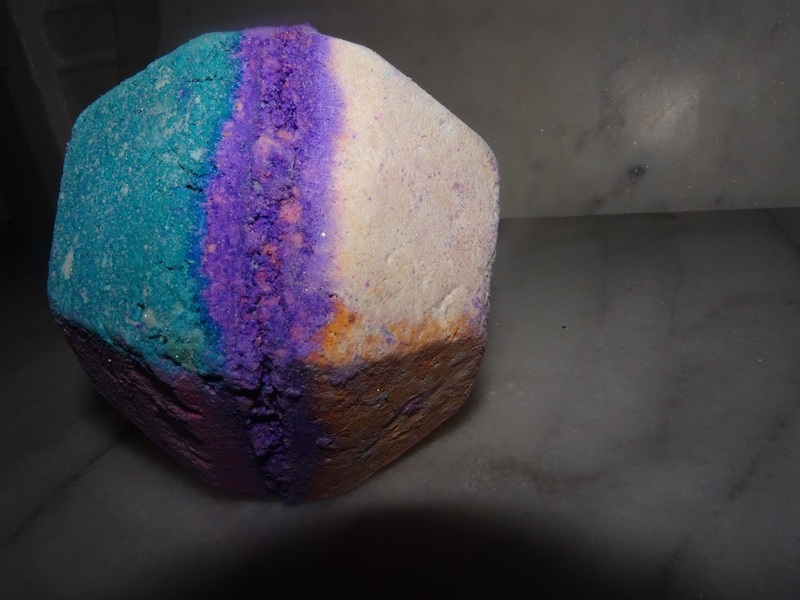 The experimenter bath bomb has got some glitter remittance on the outer of the bath bomb, I am interested in using this one, as all of the colours in that bath bomb will mix together, I wonder what colour it will be. But I can't wait to use it! 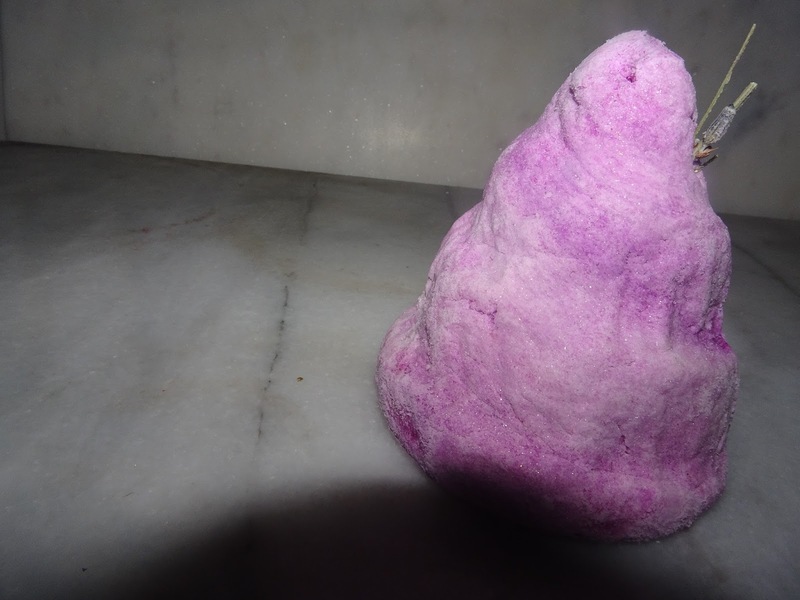 Although the scent is not something I would automatically go for, I could not have gotten it as I said before, its appearance was just yelling "BUY ME" so of course I couldn't leave it in the shop. 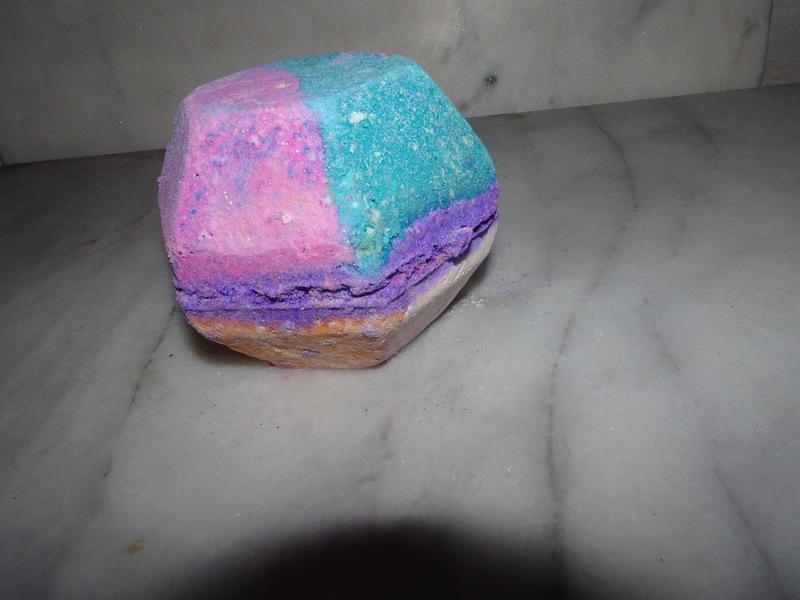 This is by far my favourite scent which I purchased from lush, it is called the comforter bubble bar. I am yet to use it in the bath but the scent alone smells amazing let alone the amazing colours it would create in the bath. The scent is blackcurrant which most of you may not know, is my absolute favourite fruit and does anyone remember lifesavers blackcurrant pastilles, they were and still are my absolute favourite flavour of sweets. I made it my mission on this shopping trip to purchase a matte bronzer as you have probably noticed I am definitely not tan at all. So I told myself that I was not to go home without a bronzer in my grasp. 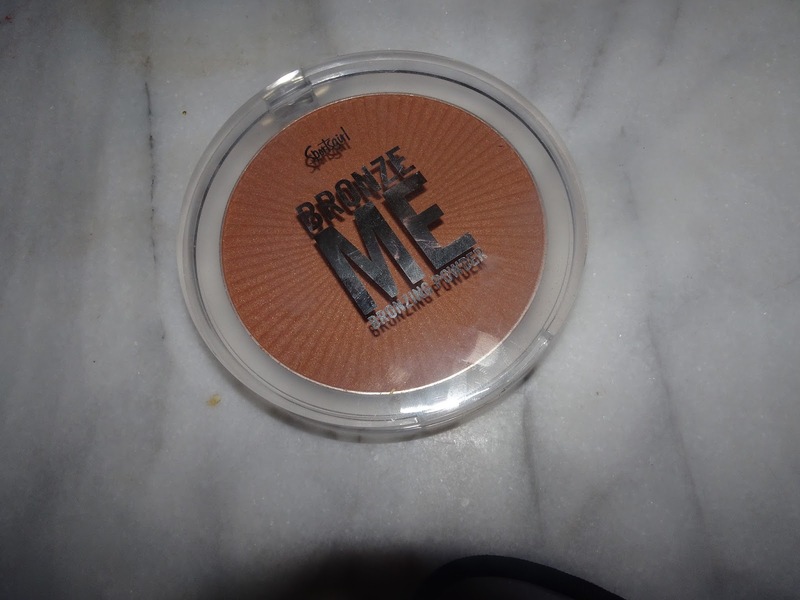 When I saw this I knew I had to get it as I have noticed over the years I tend to go collective one product after another, first off it was mascaras then lip balms, concealers and now a bronzer. 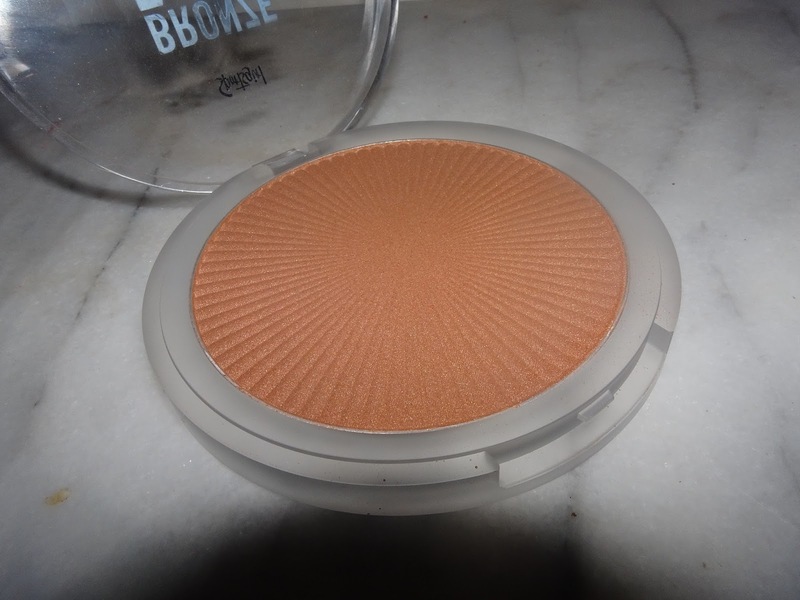 My next addition to my makeup collection may be blush next i'm not to sure, only time can tell. I am sure all of you know that mothers day was yesterday or today if you live on the other side of the world. 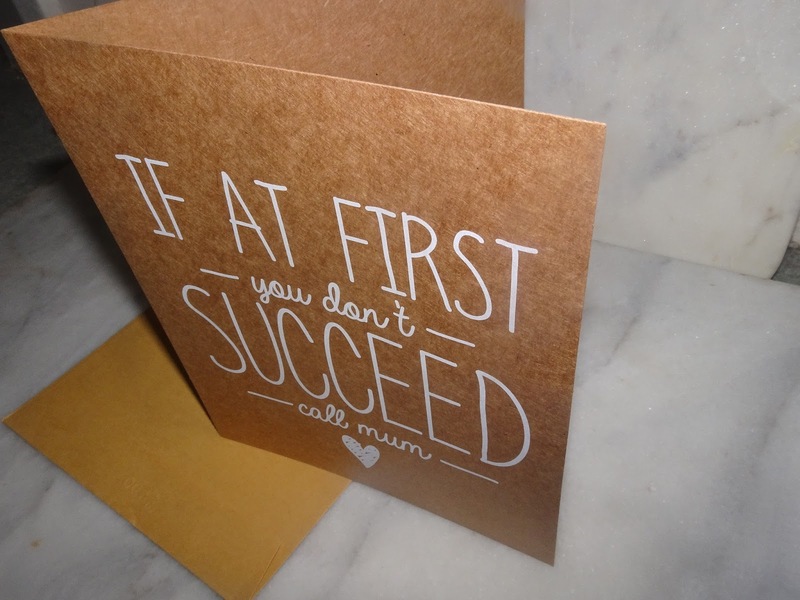 Whilst I was in typo I was looking at the cards for mothers day and there where two which tickled my fancy, but I couldn't take two so I decided to go with this one as I know I can always count on my mum as she is my 'safety net' in other words she keeps me sane for all the stress of school (which I am ok most time but now and then). I just felt that this card was quite quirky and it is something which I think my mum would have a little giggle at. I also loved the font and the card paper. I hope everyone had a nice mothers day yesterday and told your mum you love her. Let me know if you want me to do more hauls or if you would like me to do a favourites blog post.